Greetings, friends! And UnHappy Snow Day if you're in the South today. 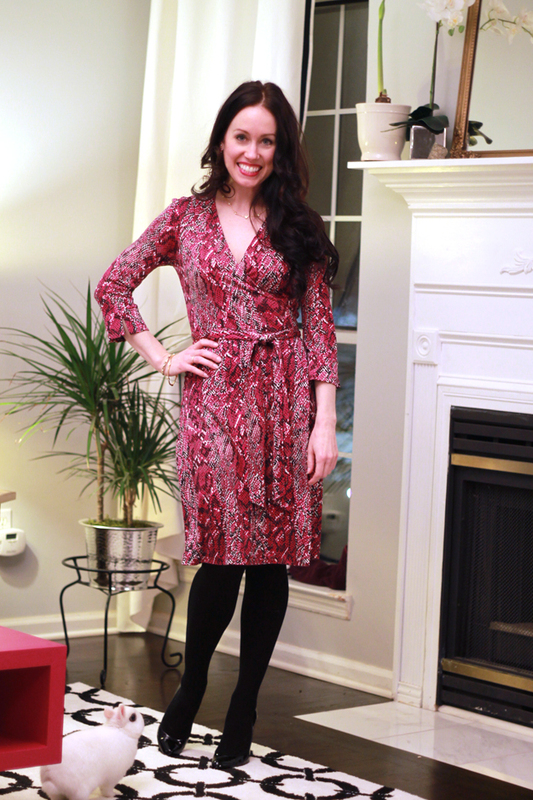 Here I am wearing thrifted DvF - it's actually pink, but the lighting makes the print look more red. Have a great week and thanks for dropping by. Love watching your DIY progress! My husband and I are going through the same process in our first home. I'd love to know where you found the stand for the plant. Casey - here's an update from The Dapper Mom. "The plant stand I got at the Plantation Patterns factory outlet in Wadley, Alabama. Their products are manufactured for Walmart, Lowes, Home depot, etc." Love this look and you match your room! An over all chic feeling!